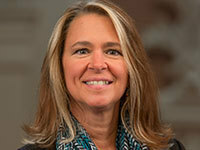 In her new role, Gerhold will oversee the University’s extensive trademark licensing program. Originally published by Marissa Gebhard at news.nd.edu on March 31, 2017. Posted In: Auxiliary Operations News and Did You Know?